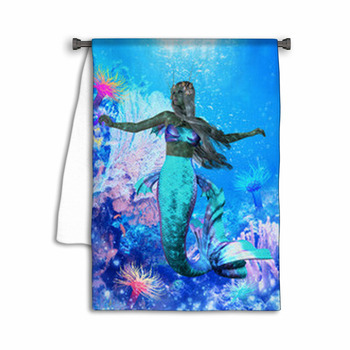 Create a whimsical underwater world with our amazing mermaid bath decor. 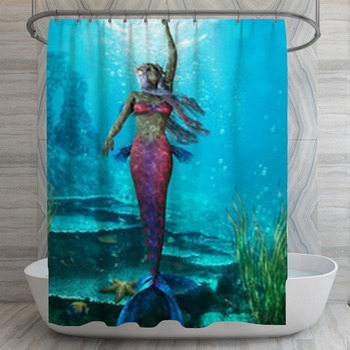 You'll find an aquatic fantasy world of mermaid-themed shower curtains, bath towels, hand towels, bath mats, and more to reflect your personal style in your powder room. 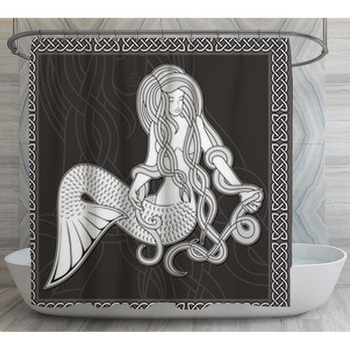 Mermaids are a cute theme for a girls bathroom. 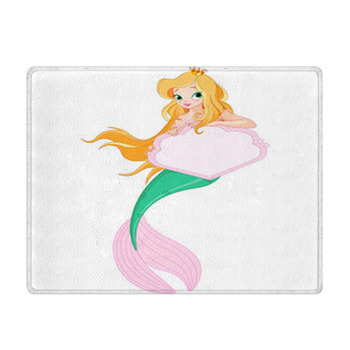 You'll find sweet cartoon-motif little girl mermaid bath towels, hand towels, bath mats, and shower curtains in a number of colors and styles. Cute little girl mermaids snooze on the ocean floor and play with their fishy friends. 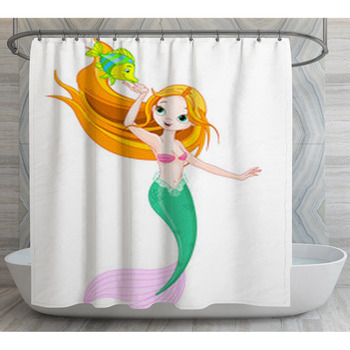 Pink mermaids, others with blue hair, and other fanciful creatures will make bath time fun. 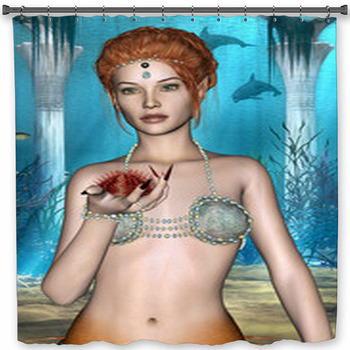 For older girls, choose one of our artistic mermaid shower curtains and bath towels. Shell love the cartoon adult mermaid styles, wearing lipstick and sunglasses. 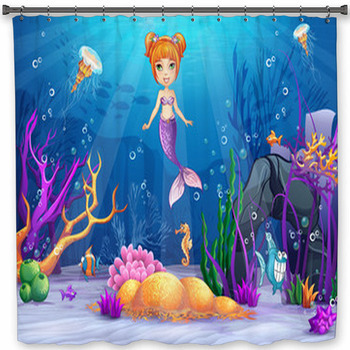 Shell also appreciate the mermaid doodles, and sea life patterns featuring mermaids and their ocean friends. 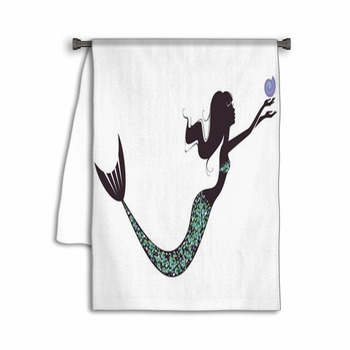 If you have a beach-themed bathroom for your guest room, choose one of our elegant mermaid shower curtains and hand towels. 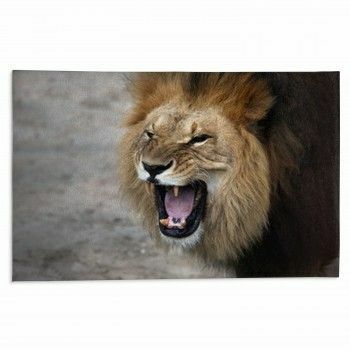 You'll love the silhouette bath towels and the sketches shower curtains that portray the sensual beauty that transfixes sailors all over the world. 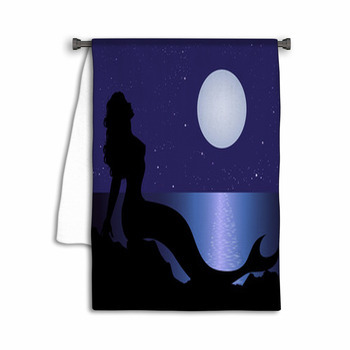 Check out our mermaids perched on rocks at night and during sunny days with the sea breeze blowing through their hair. 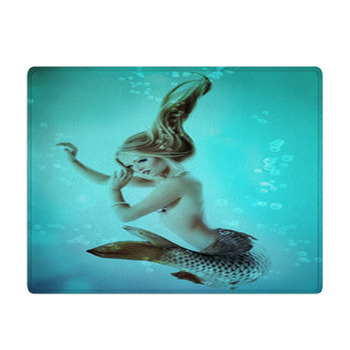 If you are looking for a mermaid-themed bath mat, consider one of our coordinating carpet rugs. 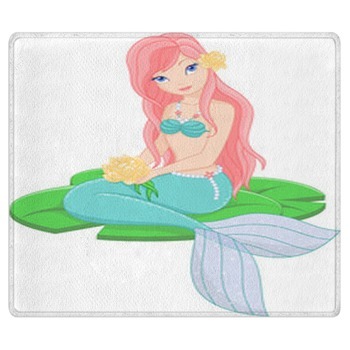 These small-footprint rugs will look great with your new shower curtain, bath towels and hand towels, as well as with our other mermaid-themed accessories, including window curtains, fabric, wall art, bedding, wall murals, blankets, and much more!.